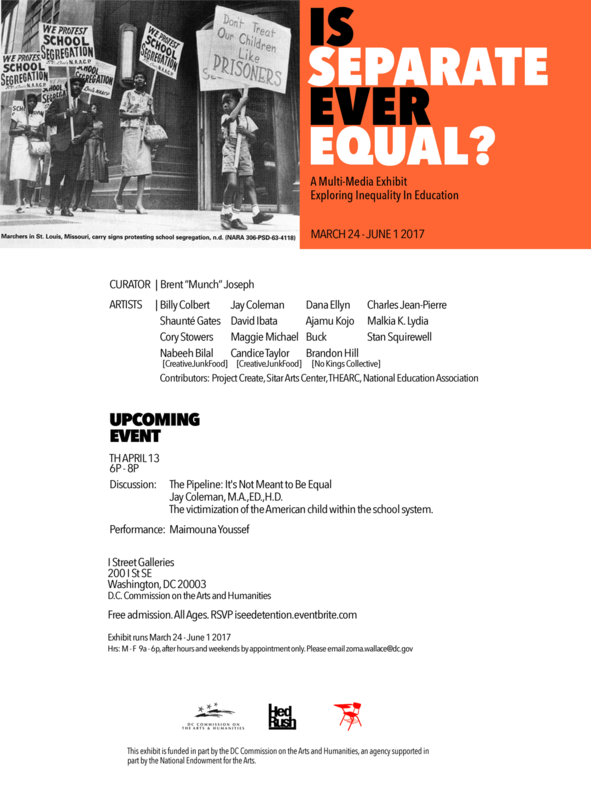 Is Separate Ever Equal? is a multimedia collection of artwork exploring inequality in education and other related topics. Thanks for an amazing grand opening. Please join us at I Street Galleries next Thursday April 13th, 6p. DETENTION with artist/educator Jay Coleman and Grammy nominated singer/emcee Maimouna Youssef.